When confronted with the potentially economically devastating consequences of a class action lawsuit, companies need lawyers who have the expertise developed through training and experience to not only develop creative, cost-effective, and aggressive strategies for the defense of those claims, but who can execute on those strategies. 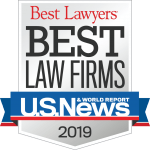 O’Hagan Meyer’s Class Action Litigation Team has distinguished itself as being the lawyers who can develop and execute on a strategy that advances our clients’ business and litigation objectives. O’Hagan Meyer’s Class Action Litigation Team has broad experience defending companies confronted with consumer, financial, environmental, securities, labor, and mass-tort class action lawsuits, including multi-district litigation (“MDL”). We staff our Team with lawyers who combine extensive trial experience with an in-depth and comprehensive knowledge of the procedural rules governing class actions. The Team utilizes this breadth of experience and knowledge to provide clients with early case assessment, realistic strategies to defeat class certification, and strategies to defend against the substantive claims made by the named plaintiffs, while also offering our clients pragmatic settlement options to advance our client’s overall business objectives.